Sculpture Size: 1 X 8 X 6.5 in. 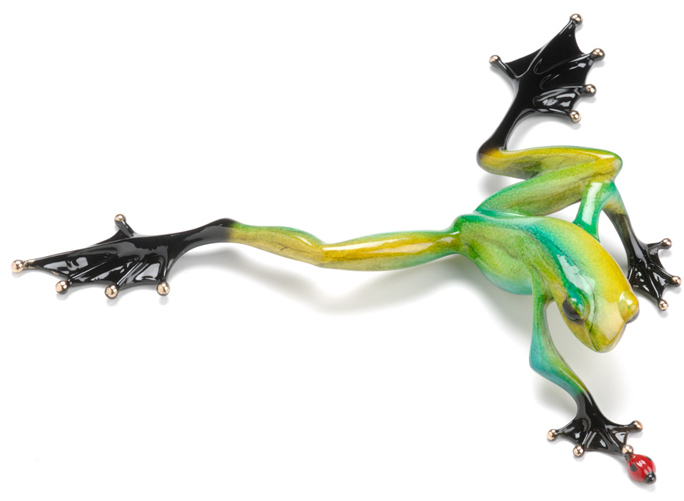 Tag is a sprightly little frog reaching out to touch a new friend. This sculpture has a yellow-lime green patina and a bright red ladybug. Looking for unique one of a kind display ideas? "Tag" fits on a Large Glass Lily Pad. See Display Accessories Section.